Lytham St Annes RNLI volunteers are sending out their own call for help today (Wednesday 20 July 2016) in support of an appeal to raise £275,000 towards the cost of their next lifeboat. RNLI Shannon class lifeboat in action. Credit RNLI. 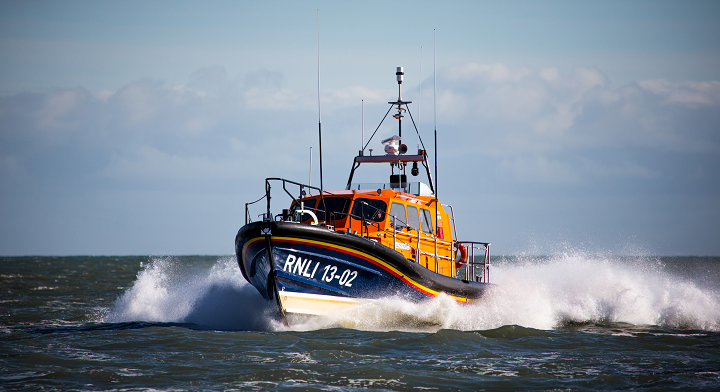 The first modern RNLI all-weather lifeboat to be powered by water jets instead of propellers, the Shannon has a top speed of 25 knots, is highly manoeuverable and well-suited to the shallow conditions of the Fylde coast. Digby Moulden, volunteer Chairman of the Lytham RNLI Fundraising Committee, said: ‘We know it’s going to be hard work raising £275,000 towards the cost of our new lifeboat but everyone involved with the RNLI in Lytham St Annes is doing their bit towards the appeal. We are holding our RNLI Open Day at the station on 31 July, when the appeal will be launched to the public and visitors will have the chance to find out more about the Shannon.